After cleaning, this is the 2nd most asked question we get from new hosts starting up our Airbnb Management Service. Luckily, this is a relatively easy thing to do, however I recommend you only do this after your first 5-10 stays. 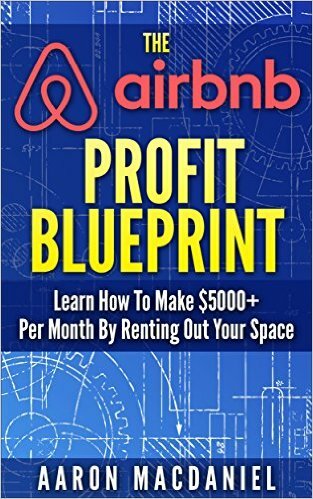 As we discuss in the Airbnb Profit Blueprint, your first five stays are really important, and you want to be meeting your guests in person. However, once you are past that initial setup phase, and you have a few good stays and reviews under your belt, it is time to transition to self-check-in. You can read more about How to get started in Airbnb with no risk here. Well, as you have probably already figured out by now, guests may have the best of intentions but they are often late. Traveling is not a precise activity, and delayed flights, buses, etc. can often lead to delays. Waiting around for hours for your guest to show up is a big waste of time. Also, guests usually prefer it! They feel the pressure as well of wanting to be on time to meet you, and it is out of their control. By offering a self-check-in process, you remove the stress and let your guests know then can check in anytime! How do you manage this key exchange process? These are available at most hardware stores like Home Depot for about $35, or about $25 on Amazon. This works for most situations, but you do need a secure spot to mount this. They can go right on your front door around the door knob, or attached securely to a fence or other stationary object. I actually have two of these, in one box there are two sets of keys for the guest. In another box there is one emergency set of keys for my cleaners in case the guests don’t return the keys, or if they need to get into the apartment in an emergency. There are now more high-tech versions of these available, ones that use Bluetooth or WiFi to change passcodes and unlock themselves. You can investigate those options on Amazon as well, just find a solution that works for you. We review several different Airbnb Smart Lock Technologies in this article. I prefer the good old fashioned key lock box like the Master Lock version above because it never needs batteries, and it cannot crash or break easily due to a software “bug”, it just works all the time. I don’t want to lock out my guests due to any problems with getting the key. Once you have a key method in place, you just need to let the guest know how to get it when they check in. 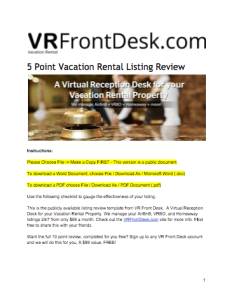 You should put this info into your listing house manual, which the guest gets automatically after booking. Also, make sure to put other key info in there like directions, WiFi password, etc., and they can check themselves in and only ask you when they have questions. Lastly, if you get a good Airbnb cleaner (like we told you, its very important), they can update the passcode for you every so often, or even every time if you are worried about it, to make sure old guests cannot gain access to the units. So far, we have reviewed Old Fashioned Lock Boxes, and new-fangled Smart Locks. But are there other ways besides sitting around and waiting for your guest to show up? There are a few new services, aimed at solving just this very problem. But most are location dependent, and not available everywhere. One such service is called “Key Cafe” (check them out at www.keycafe.com), that holds your keys at a nearby cafe so your guests can go pick them up during business hours. They charge a fixed rate per month, plus a certain fee for each actual exchange. They are only available in a few select urban markets right now, but that is probably the main place where you need them. This can work well in large, dense areas where hanging a lockbox can be dangerous, or not allowed by your building or Condo Association. Regardless of which method you choose, Self-check-in via remote Key Exchange is the way to go! Congrats, you just saved yourself a bunch of time! Do you have any other key exchange methods? Let us know in the comments below. there is a new intelligent automated key exchange service for vacation rentals in Barcelona. It is called iKeyBnB (www.ikeybnb.com) and it is available 24/7. 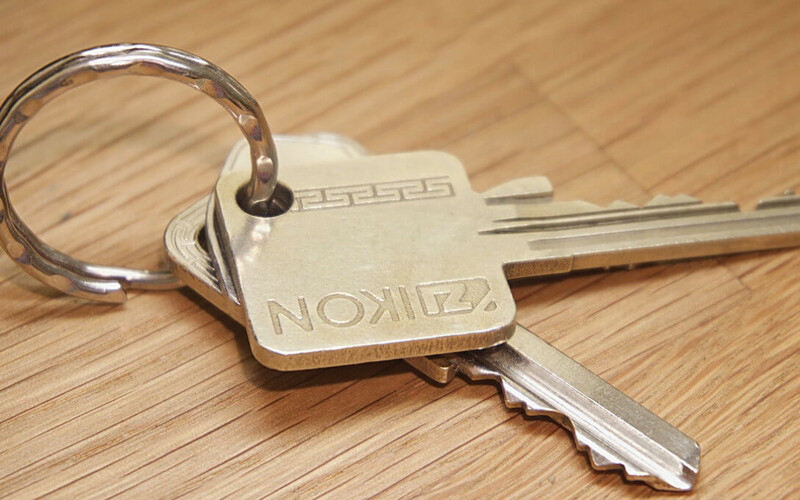 The key exchange is realised through specially designed secure and robust machines that are centrally located in strategic locations throughout the city. The service is offered for the moment only in Barcelona, but soon there will be available in more cities! Stay tuned!